As always, there’s a lot of action in these low profile races. Among the contenders in the races to replace Republican Thomas Ratliff of Mount Pleasant and Democrat Martha Dominguez of El Paso is a 68-year-old East Texas retiree who has said that President Obama used to be a prostitute and a 41-year-old self-described “MeXicana Empowerment Specialist” who says the board’s Democrats have sat silent for far too long. Bruner of course has drawn national attention for her repugnant statements; as is usually the case, the Texas Freedom Network is your best source of information for this brand of crazy. She’s very much the face of the Texas Republican Party these days. She has a sane, Ratliff-esque opponent in Keven Ellis, and I suppose the question is whether the people that elected Don McLeroy or the people that ousted him in favor of Thomas Ratliff will show up for that race. Lord knows, the state GOP deserves her, but the schoolchildren of Texas do not. As for Georgina Perez, it’s lazy and irresponsible of the Trib to draw a parallel between her and Bruner, even of the rest of their writing makes it clear that outside of a willingness to mix it up the two are completely different. One of these two will be a laughingstock, and it ain’t Georgina Perez. One of her opponents is a recipient of money from the astroturf group Texans for Education Reform, so I’ll be rooting for Ms. Perez on March 1. Two of the Democrats seeking the District 6 nomination — Jasmine Jenkins and Dakota Carter — criticized [incumbent Donna] Bahorich, as well as each other, for lack of experience and predicted their own passionate campaigning will push them to victory. I interviewed Dakota Carter, and apparently got door-knocked by Jasmine Jenkins, but wasn’t home for it. Either one would be fine by me (there’s a third candidate who’s been invisible so far), but Bahorich got 57.1% in 2012, which was enough to win by over 100,000 votes. I’ll be happy if we can know that down a point or two – for sure, if we do, we’ve probably done pretty well countywide, too. Just when he thought he was out, they (might) pull him back in. Gov. Greg Abbott appointed a social conservative and former staffer for Lt. Gov. Dan Patrick to chair the Texas State Board of Education on Thursday. Donna Bahorich will lead the 15-member board, whose duties include setting curriculum standards and approving the textbooks used by the state’s more than five million schoolchildren. Bahorich, who represents part of Harris County, has served on the board since January 2013. She sat on the Committee on School Initiatives, which oversees issues related to charter schools, the Board for Educator Certification rules and the appointment of school board members for districts located on military bases. She is also a member of the board’s Ad Hoc Committee on the Long-Range Plan for Public Education. As chairwoman, Bahorich will set the agenda for the state education board’s meetings, which occur five to six times a year. Bahorich, who usually votes with the board’s social conservative bloc, has close ties to Patrick. She was his campaign manager during his first run for the state senate seat in 2006. After that, she served on Patrick’s staff in varying roles including district director, campaign treasurer and communications director. Board member Thomas Ratliff, a governmental relations consultant and lobbyist from Mount Pleasant, said he was disappointed to hear of Bahorich’s appointment. Ratliff said he believes she does not have enough experience with public schools to qualify her for the job. Ratliff said he’s now rethinking his decision to leave the board when his current term expires in 2017. See here for the background on Ratliff. Whether he decides to run for re-election to the SBOE or takes a crack at Kevin Eltife’s Senate seat, either would be fine by me. I hope this is for real and not just a tease. As for Bahorich, she’s hardly the person I’d want chairing the SBOE, but the bar for “could be worse” with this group is pretty damn low. Not being a McLeroy-esque catastrophe counts as a job well done. That’s not too much to ask for, is it? Appearing at a board hearing on new instructional materials, Don McLeroy, a Bryan dentist who lost his seat on the SBOE in the 2010 Republican primary, told board members that the science textbooks currently under consideration contained many “hidden gems just waiting to be mined by inquisitive students” that proved there was no evidence for evolution. McLeroy’s testimony diverged from other witnesses skeptical of evolution, who criticized the proposed textbooks for inadequate coverage of alternatives to the scientific theory and asked the board not to approve them until publishers made changes. The 15-member SBOE won’t vote on the 14 science textbooks currently under consideration until November. Chairwoman Barbara Cargill, R-The Woodlands, said the board would also discuss revising the state’s textbook approval process, which science education advocates have criticized for allegedly lacking transparency and including unqualified reviewers. Cargill herself has drawn accusations of improper involvement in the review process from the Texas Freedom Network, a group that monitors religious influence in public schools, after reports that she encouraged creationists on the panels. Cargill said she only attended the meetings to thank volunteers for their work reviewing the texts. State panels have been reviewing sample instructional materials since April. The panels, which are assembled by SBOE members, have included several prominent creationists and evolution skeptics, as well as others without a background in education or science. Their preliminary proposed changes obtained by the Texas Freedom Network pushed for the inclusion of more arguments critical of evolution. Prior to Tuesday’s hearing, three SBOE members — Ruben Cortez, D-Brownsville; Marisa Perez, D-San Antonio; and Martha Dominguez, D-El Paso — expressed their disappointment with the process at a rally organized by the Texas Freedom Network. They said that publishers were being pressured into including non-science based arguments against evolution and called for only “content-relevant educators” to be included on review panels. Cargill said during the hearing that she had asked publishers to voluntarily disclose for public review any changes they made to textbooks prior to their adoption. She also emphasized that any reports made by review teams were preliminary — and that in November, the board would take up suggestions about how to improve the process. Just as Rick Perry works to keep Texas sick, so does Don McLeroy work to keep Texas ignorant. TFN Insider liveblogged the hearing, and also provided some extra background. What happens from here I don’t know, but as always it would be a good idea to stay engaged, and to keep an eye on the November hearing. Finally, kudos to new SBOE members Cortez, Perez, and Dominguez for their involvement. Perez and Dominguez gave us some moments of uncertainty last year, but so far they’ve exceeded my expectations on the board. Eileen Smith and the Stand Up for Science Tumblr have more. 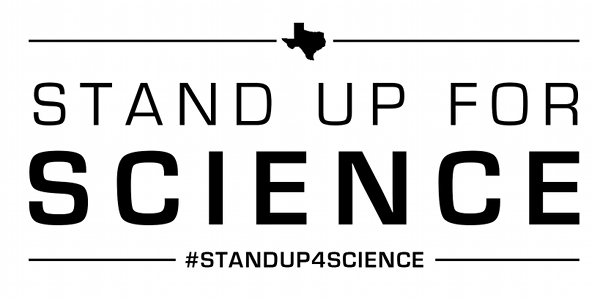 Texas public school science courses “pay lip service” to critical content and largely ignore evolution in the middle grades, according to a national education foundation study that gives the state of Texas an overall “C” for science education. The average grade for Texas science curriculum standards by the Thomas B. Fordham Institute in a national report card Tuesday represents a step up from the “F” issued for Texas two years ago by the National Center for Science Education. It’s also better than the D we got in Social Studies from the Fordham Institute. You can see the Texas report here and a full list of state reports plus their other materials related to this here. The report offers a mixed review on how Texas teaches evolution. The evolution portion of the new Texas science curriculum standards provoked considerable controversy before the State Board of Education adopted them in 2009. Former board member Don McLeroy, R-Bryan, lost his chairmanship, in part, because Senate Democrats believed he injected his strong religious beliefs into the curriculum development and blocked his nomination three years ago. “The report confirms what I have always insisted: that the creationists inserted real scientific rigor into the teaching of evolution,” McLeroy said. Evolution is all but ignored from Kindergarten through fifth grade, save a sentence in the earth and space science section that asks students to “identify fossils as evidence of past living organisms” (grade 5). Unfortunately, this is simply wrong. Traits are inherited directly at each generation; there’s nothing gradual about it. Students are then asked to explain variation within a population or species by examining external features that enhance survival. Such examinations will yield no explanation of variation. Perhaps the biggest problem with the middle school standards, however, is their coverage of evolution. For instance, the seventh-grade standards mention the Galapagos finches, giving the impression that the Darwinian paradigm is being presented. Unfortunately, it is not. Instead, the example of the finch Geospiza fortis apparently refers to studies by Peter and Rosemary Grant on beak size in this species, made widely known by Jonathan Weiner’s Pulitzer Prize-winning book, The Beak of the Finch. Creationists often distort these important findings to argue that Darwinian macroevolution does not occur—instead, microevolution does. In addition, the word “evolution” is never used in any of the middle school standards, and the term “natural selection” is never explained. In spite of the Texas Board of Education’s erratic approach to evolution, the state’s current high school biology standards handle the subject straightforwardly. There are no concessions to “controversies” or “alternative theories.” In fact, the high school biology course is exemplary in its choice and presentation of topics, including its thorough consideration of biological evolution. Even so, the term “natural selection” appears just three times, as does the word “evolution” and its variants. It is hard to see how Texas students will be able to handle this course, given the insufficient foundations offered prior to high school. In other words, it’s pretty clear they think McLeroy and his bunch were the problem, not the solution. The more voters that see it that way as well, the better. One Democrat running for the SBOE had some sharp words for his putative colleagues. Steven Schafersman, president of Texas Citizens for Science and a longtime critic of the board’s conservatives, said the Fordham analysis overlooked some glaring problems with Texas’ standards. “Without the State Board-mandated political, anti-scientific changes, Texas would have received an A or perhaps B grade from the Fordham reviewers,” said Schafersman, who is running as a Democrat for an open West Texas seat on the board. If Schafersman’s name sounds familiar to you, it’s because he’s been one of the indefatigable SBOE meeting livebloggers of late. He’d be a great addition to the Board, but he’s running in a bright red district, so I can’t say I’m holding out any hope. 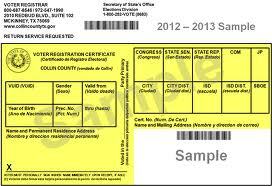 Texas Politics has a link to Schafersman’s full response. TFN Insider has more. I normally consider it unseemly to kick a man while he’s down, but some men richly deserve it. The godless, left-wing radicals have taken over universities and the national government and are radically transforming the country, State Board of Education member Don McLeroy warned in a speech last week to a Tea Party group in Bastrop. Just as a reminder, McLeroy was booted out in a Republican primary. Who knew there were so many godless, left-wing radicals in the Texas GOP these days? And where’s Colonel Flagg when you really need him? Next to Governor Perry, I can’t think of someone whose exit from the public stage is more deserved or overdue than McLeroy. The adoption of new science textbooks may be delayed a year as a budget maneuver. The $1.4 billion price tag for new science textbooks and other materials has been causing sticker shock among state officials bracing for the upcoming budget shortfall. So, the State Board of Education on Tuesday must decide whether to push ahead despite the cost or delay the textbooks for at least a year to save the state money in the 2012-13 budget. The $1.4 billion total would pay for much more than science textbooks, including ongoing contracts for instructional materials and books for new students. But the state at this point has more flexibility on the science textbooks than the other materials. One option the board will consider is keeping the existing textbooks for a little longer while providing students electronic supplements that would reflect the science curriculum standards approved by the board last year. Basically, it’s another accounting trick, since changes to the curriculum will require different textbooks. The money will be spent, it’s just a question of how much of it will be spent this biennium, and how much will be put off till next time. Too bad they’re not considering a similar delay for social studies. In fact, as Lisa Falkenberg notes, McLeroy will be doubling down on the social studies madness one last time before he slinks off the stage. As before, TFN will be live-blogging the whole mess when it starts tomorrow. We’ll see how much worse it’s all about to get. UPDATE: An “indefinite delay” in buying the new science textbooks has been recommended to the Board. As we know, the SBOE is set to take a final vote on their proposed revisions to the social studies textbook standards. They’ve received a lot of mostly negative feedback so far, but have said they’re still considering specific suggestions. Here’s what Bill White had to say to them. I write to urge the State Board of Education to return the proposed revisions to the Social Studies TEKS, 19 TAC Chapter 13, Subchapters A, B, and C, to the TEKS review committees and to delay adoption of the TEKS until January 2011. Some of the revisions proposed by the SBOE are in direct conflict with the recommendations of the review teams and others with subject matter expertise. Substitution of judgments by elected officials on subjects requiring expertise runs counter to basic principles of academic freedom and respect for the professionalism of educators. I specifically object to the proposed revisions to Subchapter C, Section 113.42(c)(20)(C) and ask that the proposal as written by the review committee prior to the SBOE’s revisions be adopted. That TEK was designed by educators and experts to teach about the impact of Enlightenment period ideas, following Section 113.42(20)(A) which recognizes the ideas as a precursor to democratic-republican government. Instead of providing content to support the lesson, the SBOE’s proposal strips out the terms “Enlightenment ideas” and “political revolutions,” and omits Thomas Jefferson from the list of Enlightenment thinkers who inspired political revolutions. A press release from White is beneath the fold. It’s not too late for you to submit your own feedback if you want to. The goal here is to get them to put it off till 2011, when the current lame ducks have been replaced by their elected successors. There’s no way it actually happens, of course – you think Don McLeroy and Cynthia Dunbar are going to turn this chance down? – but we’ve got to be as loud and clear as we can about their illegitimacy. The Trib and TFN have more, the latter including a list of McLeroy’s proposed amendments. Because what they’ve come up with isn’t bad enough already. I almost missed this op-ed by State Rep. Carol Alvarado about everyone’s favorite clown show, the State Board of Education. In it, she hits on a theme we’re seeing more and more of. How can board members claim that our students will be college-ready when those same members use curriculum standards to rewrite history? For example, board members deleted Thomas Jefferson, who wrote our Declaration of Independence and championed separation of church and state, from a list of great Enlightenment thinkers who have inspired people around the world in their struggles for freedom. They refused to require students to learn that the First Amendment bars government from promoting one religion over all others. Even though we’ve seen similar stuff lately from the likes of Bill White and State Rep. Trey Martinez-Fischer, it didn’t hit me until I read those paragraphs that what we’re witnessing is Democrats using a cultural wedge issue against the Republicans. I guess I just don’t see that often enough to recognize it for what it is. And it’s one on which the GOP ought to be vulnerable. I mean, who outside of the Cynthia Dunbar nut fringe has an issue with Thomas Jefferson, for crying out loud? Let Dunbar’s partymates get into all the nuances to explain her bizarre rationale, we’ll be over here pointing out how whacked out it is to be calling a Founding Father intolerant of Christianity. And I must say, as a child of the 80s who lived through all of the Dead White European Males culture war stuff, it’s hilarious to see it all come full circle like this. Who said history had to repeat itself as tragedy before it became a farce? Board members should seriously reconsider this process and assure parents that they are putting the education of Texas schoolchildren first. Doing so requires only some fairly simple steps. First, the current process should be halted and resumed only when the newly elected state board members take their seats in January. Doing so will help the board create a new process that is better insulated from personal and political agendas. There is no need to hurry through the revision of standards that will guide what our children learn for a decade. What she means, of course, is that the Board should not vote to give final approval to the new standards that were approved earlier this month until after Dunbar, Don McLeroy, and Geraldine Miller have all finished serving their terms. 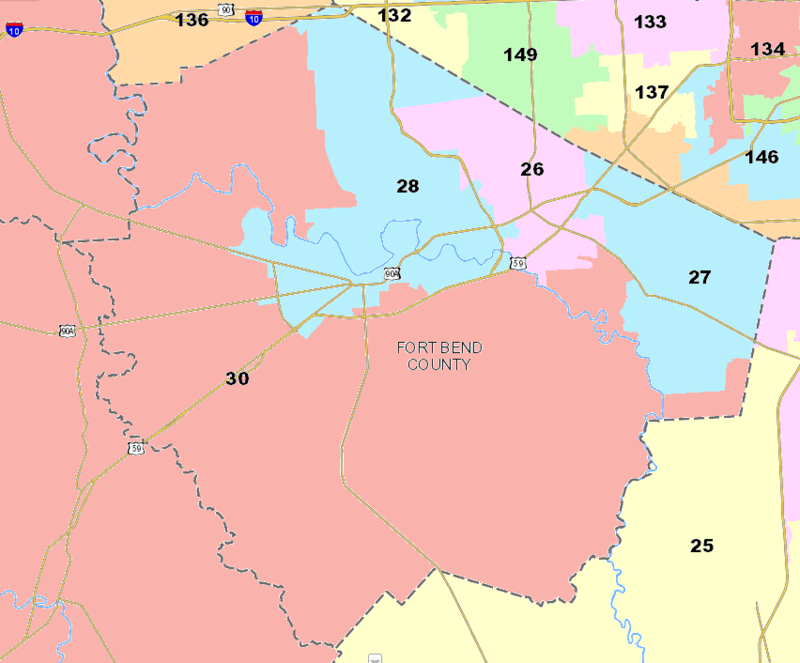 We know McLeroy and Miller will be replaced by more moderate voices, and Dunbar may be, depending on the GOP primary runoff and/or the November election; Ken Mercer is also facing a strong challenger. The odds are that many, maybe even all, of the crazier things that got adopted this month could be repealed and replaced if the final decision were left till 2011. Obviously, I don’t expect this to happen, but as campaign fodder goes, it’s pretty darned good. So what happened? Over just a few days in January and this month, the state board shredded nearly a year’s worth of detailed work by teachers, scholars and other curriculum writers. In vote after vote, board members made numerous and outrageously foolish, intolerant and ignorant changes based on little more than their own (limited) knowledge and personal beliefs. The problem isn’t simply that many changes were wrong factually. Teachers will surely despair as they read through the numerous names, dates and events board members added willy-nilly to the standards with little consideration of how in the world to cram all of those facts into the limited instructional time available for classes. In addition to that, poor scholarship — if scholarship is a word that can be used to describe any “research” done by this board — was particularly evident during the debate. On more than one occasion, board members simply resorted to Internet searches from laptops at their desks. They invited no historians, economists, sociologists or even classroom teachers to guide them as they rewrote history (and standards for government, economics, sociology and other social studies courses) with scores of ill-considered, politically motivated amendments. In fact, board members had explicitly rejected a proposal in November that they invite such experts to be on hand during the debate. They simply didn’t want to be bothered with facts and real scholarship as they moved to transform a curriculum document into a political manifesto. They then present a long list of excruciatingly dumb things the Board did. You may need a drink to get through it all. When you’re done with that, here’s a Statesman editorial to finish you off. The McLeroy faction occupied seven of the 15 seats on the board and has used that to force a very narrow worldview into Texas public school instruction. So cocky was McLeroy before the March 2 primary that he said the balloting was a referendum on the board’s performance. The voters spoke, but McLeroy and company obviously weren’t listening. Board chairwoman Gail Lowe, R-Lampasas, quit listening as well. She sided with radicals on tie votes at last week’s meeting. 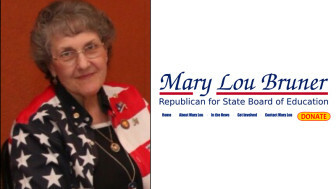 Lowe was appointed to head the board after the Texas Senate refused to confirm McLeroy as board chair. McLeroy, [Cynthia] Dunbar and [Geraldine] Miller’s terms expire in December, a month that can’t come soon enough. I can think of no other state agency that has a separately elected board of non-experts that controls key agency functions. Some people argue that education is so important, it requires this added layer of policy-making (and I’m using that term in its loosest sense). But is education any more important than other policy areas—like ensuring we have clean air, monitoring doctors, dispensing food stamps to poor families, determining which children receive government health insurance—that we delegate to administrative agencies? I don’t think so. In the 2009 session, state lawmakers from both parties proposed bills that would have stripped the State Board of much of its power or abolished it entirely. None of them came close to passing. But there’s always next session. And after another State Board meeting filled with cringe-worthy moments, quite a few legislators probably find the notion of abolishing the board rather appealing. Honestly, I don’t think that’s likely to happen. But if it’s at least in the conversation, that will say quite a bit. You know that old expression about how no one’s life, liberty, or property are safe when the Legislature is in session? That’s how I feel these days about the State Board of Education. And that means it’s loin-girding time, because here they come again, to finish off the social studies textbook standards that they deferred from January. A three-day meeting beginning Wednesday is the first since voters in last week’s Republican primary handed defeats to two veteran conservatives, including former board chairman Don McLeroy, who lost to a moderate GOP lobbyist. Two other conservatives — a Republican and a Democrat — did not seek re-election. All four terms end in January. The 15-member board is expected this week to finish debating social studies, history and economics curriculum before taking a preliminary vote. The final vote is expected in May. Aside from the Founding Fathers’ beliefs, debate could flare over issues such as border security and how much children will study the impact of government regulation on the free enterprise system. Unfortunately, the board has repeatedly proven that like the song says, they don’t know much about history. • The board voted to pull a popular children’s book author after confusing him with the author of a book about Marxism. • At the urging of a Dallas board member, the panel rejected a nationally known migrant labor leader because she was a member of a socialist group. Instead, the sponsoring member extolled the virtues of Helen Keller, unaware that Keller advocated for socialism. • The board changed a section on McCarthyism after a member said research had “basically vindicated” the senator’s 1950s hunt for communists. It’s stuff like this that really makes you proud to be a Texan, doesn’t it? Get ready for three more days of wince-inducing headlines and stories, followed by the usual barrage of bemused and outraged national coverage. The Trib has an annotated list of what the SBOE will be discussing, and I’m sure that the Texas Freedom Network will be there to liveblog it. The Court of Criminal Appeals has had a good run lately as the public institution that has caused the most embarrassment to Texas, thanks in no small part to the ongoing Keller saga and the recent hot judge-on-prosecutor ruling. But never count out the State Board of Education, where it’s not just a clown show, it’s a way of life, as seen in these clips from the recent hearings on social studies textbooks gathered by TPM Muckraker. In these clips, the seated officials are members of the GOP-majority board of ed. The woman standing up is the representative of the high school U.S. history textbook standards writing team. Keep in mind, the writing team is supposed to incorporate in its next revision of the standards the input of the board members. I suppose by McLeroy’s logic, I ought to be grateful to all of the people in high school who could have beaten me up but didn’t. That came out almost two weeks ago but just came to my attention, via Twitter. Which means that no matter what ultimately happens, that will be the lasting impression a lot of people have of the SBOE. If only it were an inaccurate one. There’s no reason to believe that the lunatic fringe of the State Board of Education will do anything but push an unrealistic and ideological change to the state’s social studies curriculum. They’ve made that clear by the kind of “expert” they’ve added to the committee that’s doing the review. But so far, at least, so good. The first draft of new social studies standards for Texas public schools is out and, as expected, it contains little to stir up controversy. The curriculum standards, written by teams of teachers and academics, spell out what should be taught in government, history and other social studies classes in all elementary and secondary schools. The standards also will be used to write textbooks and develop state tests for students. Debate is expected to pick up when the standards go before the State Board of Education this fall. Board members clashed over proposed science standards earlier this year, and the social conservative bloc on the panel is expected to press its views – including the importance of Christian values in U.S. history – when the document comes up for consideration. Although three curriculum experts appointed by social conservatives called for some dramatic additions in the curriculum proposal, their suggestions were largely ignored by the writing teams – which pursued a more mainstream approach to U.S. history, government and other subjects. The draft is available here. It would have been much better, of course, for those three so-called “experts” to have never been selected to serve on the committee. But given that they’re there, the more they can be ignored, the better. Again, in the end I am sure they will make their presence known. For now, at least, sanity is prevailing. EoW has more, while the Texas Freedom Network has a few bon mots from (former) Chairman Don. The Statesman editorial board lets us know how Don McLeroy defines an “expert” on something. Don McLeroy, who couldn’t muster enough votes in the Republican-dominated Texas Senate to win confirmation as chairman of the State Board of Education, has a curious notion of what qualifies someone as an expert. “If two (board) members think they’re qualified, they’re qualified,” McLeroy said. McLeroy, a Bryan dentist who retains his seat on the board, was discussing the selection of experts chosen to make recommendations on the state’s social studies curriculum to be adopted next year. Give the doctor points for candor, but securing two votes of people who agree with your views on religion and politics — religion in politics in this case — should not an expert make. McLeroy’s comment reveals what is horribly wrong with the way curriculum is developed by an elected board that serves as a platform for the ultra-conservative members to promote a religious ideology. You have to admit, that explains a lot. One wonders: If, say, two board members of the Texas Freedom Network produced a list of experts on the Bible, do you think Don McLeroy would accept it? I’m kinda thinking the answer to that is No. The good news is, he didn’t pick Cynthia Dunbar. The bad news is, it’s not clear how much better new State Board of Education Chair Gail Lowe will be. Lowe, co-publisher of the Lampasas Dispatch Record, was first elected to the board in 2002 after serving on the Lampasas school board. Perry’s pick avoids the controversy that would have followed if he had selected one of the members whose names have been floated as likely candidates, including Cynthia Dunbar, R-Richardson. Lowe consistently votes with the conservative wing of the 15-member board but she has typically been a quiet presence. My impression of Lowe — from watching hours of State Board proceedings last year (an experience from which I’m still recovering) — is that she’s not the savviest operator in the group. She’ll likely be a quieter public presence as chair than [Don] McLeroy. That may make this a very savvy move by Perry, if it turns out Lowe is effective in getting wingnuttery passed but manages to avoid becoming an easy target by being low key. So far, some potential critics are staying reserved. Richard Kouri, public affairs director for the Texas State Teachers Association, said Lowe’s selection is no surprise. Kouri said his organization will closely watch next week’s meeting. They’ll look for clues as to whether Lowe will be able to calm the politicized rifts that have characterized the board in recent years. Debates over language arts and science curriculum have been especially contentious and a revision of social studies objectives is already heating up similarly. “Given the split on that board, we would like to see a chair that I guess is more the arbitrator, more the person who is going to create a level and fair environment for the discourse to happen, not basically be the kind of chair that says, ‘This is what I believe, now eight or nine of you line up behind me,” Kouri said. Larry Shaw, executive director of the United Educators Association in Fort Worth, agreed that change is needed. “I sincerely hope they start taking more realistic positions instead of political positions because they’ve made themselves irrelevant in the minds of many educators, including me,” he said. Going back to that Star-Telegram article, Lowe makes herself sound like a mixed bag. Lowe, who is also a Republican conservative, thinks she was selected by Perry because she is the type of person who writes headlines instead of making them. She said she is honored by the appointment and will do her best. Lowe’s youngest child is still in public school, and she has served as a Lampasas school trustee and classroom volunteer before being elected to the SBOE seven years ago. “My emphasis has always been on academic achievement and that’s what I will continue to pursue,” Lowe said. At least she has a kid in public school, which is a clear distinction from the Dunbars of the world, who are working to kill public schools. If she really does focus on academic achievement, and stays away from the divisive stuff that’s been the SBOE’s hallmark lately, she’ll at least be a step up from McLeroy. On the other hand, if she really did think Dunbar would have made a good Chair but for her outspokenness, that’s worrisome. We’ll just have to see how it goes. What I do know is that getting some of the clowns off of the Board remains a top priority, and that means getting Dunbar and McLeroy unelected next year. The less crazy the Board is as a whole, the less it matters how kooky the Chair is. Chad Orzel mentions an idea by Chris Mooney and Sheril Kirshenbaum from their book Unscientific America. Why not form a nonpartisan science political action committee, or PAC, devoted to funding candidates who are either scientists themselves or who make science a strong priority and have good records on science issues? With adequate fundind, the PAC might select, say, five or ten members or candidates to support each election cycle. If there’s a desire to be really aggressive (and we have mixed feelings about this strategy), it could also target science “bad guys”– climate change deniers, officials who promote manufactured scientific controversies, anti-evolutionists, and the like– who deserve to be unelected and give campaign funds to their opponents. I think this is a great idea, and one that’s long overdue. Having pro-science candidates isn’t something that will happen by accident, or (if you’ll pardon the pun) by natural selection. Putting some skin in the game goes a long way towards making sure the things that are important to you are being represented in your government. The anti-science forces have no qualms about doing this. I see no reason why the pro-science side should stay on the sidelines. I can understand the concern about undercutting the impartiality of science, but when one side is advocating lies and distortions, I don’t see how standing up for the truth is a problem. And yes, I think it’s as important to target bad guys as it is to promote the good guys. Use the Texas Parent PAC, which has promoted pro-education candidates in both parties, as a model. They put themselves on the map by knocking off State Rep. Kent Grusendorf, the public education-hating chair of the House Education Committee, back in 2006, doing the state of Texas an enormous favor in the process. A pro-science PAC could do a lot more good next year by backing primary challengers to Don McLeroy and Cynthia Dunbar for the State Board of Education, shifting to support Dunbar’s Democratic opponent in the general election if need be. Honestly, this is a no-brainer. Now Mooney and Kirshenbaum are writing about a national PAC, presumably to affect Congressional races, but the point is the same, and frankly there’s no reason there couldn’t be a bunch of state PACs that take after a national PAC. And if you really are squeamish about raising money for candidates, you can always go the grassroots activism route, though you’ll still need to raise money for it. The bottom line is that the scientific community is operating at a disadvantage, and the sooner it realizes that, the better. Oh, and if the SBOE’s latest hijinx is any indication, historians should be forming a PAC as well. Clearly, no academic discipline is safe as long as this clown show is on the air. I think it’s safe to say the State Board of Education elections aren’t going to be the obscure affairs they’ve historically been any more. We know that now-former SBOE Chair Don McLeroy has drawn a high-profile primary challenger, and one of his chief cohorts in Crazytown, Cynthia Dunbar, has collected a total of five opponents, three Democrats and two Republicans. I was aware of two of the Democrats back in February (one of whom, Lorenzo Sadun, has now made his entry official), and now they have more company. 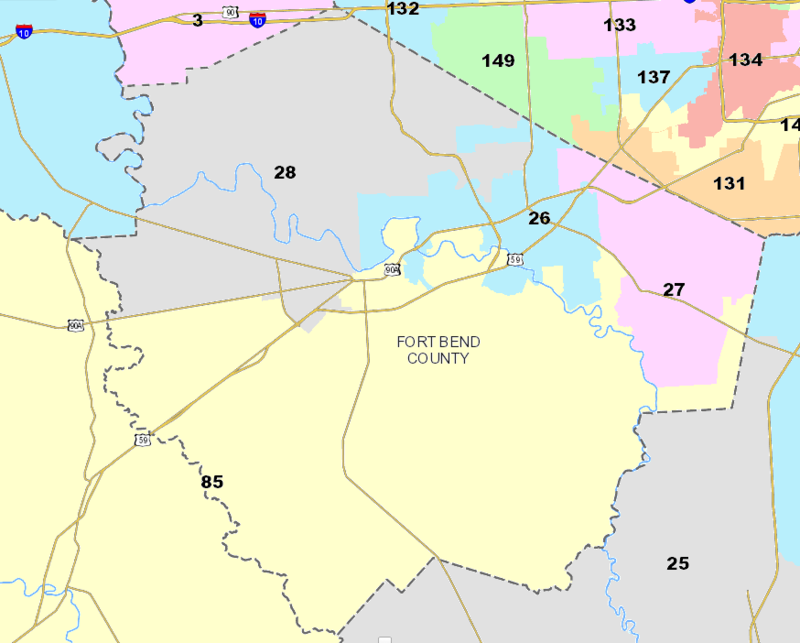 SBOE 10 is pretty close to a 50-50 district, so this one should be quite the skirmish. With any luck at all, we could have a vastly saner Board of Ed in 2011. I sure hope so. On the heels of a legislative session that saw 15 bills filed by Republican and Democrat legislators to curtail some or all of the responsibilities of the State Board of Education, Thomas Ratliff has filed the necessary paperwork with the Texas Ethics Commission to run for the District 9 seat. The incumbent is Dr. Don McLeroy, whose nomination for chairman of the SBOE was recently rejected by the Texas Senate. I’ve noted before that McLeroy’s district is not fertile ground for a Democratic challenger, so I’m thrilled to see a sane Republican mount a primary campaign against McLeroy. That won’t be easy either, as McLeroy is a hero to the wingnut fringe, and they specialize in winning races like this one, which Burka notes in his post. Still, this probably represents the best hope to unseat McLeroy, and if the son is anything like the father, it would be a huge step forward for Texas. Keep an eye on this one. Greg has some general-election numbers, plus a nifty map, here. The Texas Senate on Thursday refused to confirm Don McLeroy as State Board of Education chairman after an impassioned floor debate. The 19 to 11 party-line vote was not enough to get McLeroy across the required two-thirds threshold. Sen. Eddie Lucio Jr., D-Brownsville, abstained from the vote. McLeroy, a Republican from Bryan, was first elected to the board in 1998 and will remain in that position. But Gov. Rick Perry will now need to appoint another leader from the 15-member board. Critics said McLeroy’s nearly two-year tenure as chairman has been dysfunctional and divisive. I know I said that I’d give any Dem a pass on this one if they thought they needed to confirm him. I’m glad they didn’t take me up on that. If Rick Perry does appoint someone decent like Bob Craig, it’s a win all around. And if he goes full metal wingnut and gives us Cynthia Dunbar, well, I’ll look forward to the 2010 campaign that much more. TFN, which led the way on this one, has a full accounting of the proceedings and a statement on the outcome. Elise and Kilday Hart have more.